High temperatures have been used to destroy tumor cells through a treatment known as Hyperthermic Oncology. Hyperthermia is an old treatment yet new tools and more precise delivery of heat has allowed hyperthermia to be used for cancer treatment. Though rarely used, recent research is suggesting it be used by oncologists with every patient because of its immune stimulating effect. Another reason for traditional oncologists to pay attention to heat is that hyperthermia provides synergies with most conventional treatment modalities, boosts their efficacy helping to re-sensitize previously non-effective treatments. 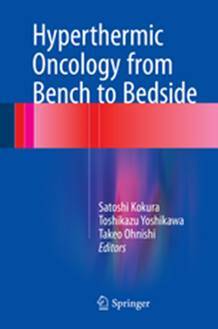 Moreover, as an advantage of heat treatments is increased blood flow increasing chemo-efficacy and delivering more oxygen for radiotherapy success. Heat has been used to treat various types of diseases for centuries that decreases the transmission of pain signals to the brain. There is no doubt that heat is comforting and when patients body temperature is low heat can be a life saver. Even with dying patients heat should be used to make them as comfortable as possible. 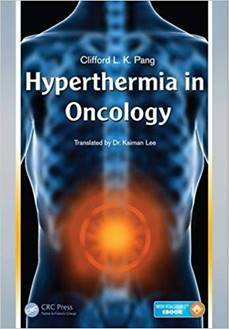 Dr. Chen-Ting Lee, Dr. Thomas Mace, and Dr. Elizabeth A. Repasky published a paper in the International Journal of Hyperthermia giving us reason to use thermal therapy in the treatment of cancer. 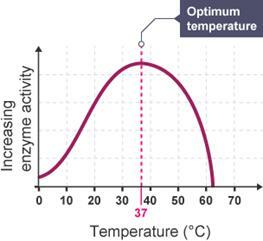 Mild thermal stress has the opposite effect to that of hypoxia (low oxygen). Adding heat to the body is a way of increasing blood flow and oxygen delivery to the cells while enhancing cytotoxic activity of human NK cells. Natural killer cells (also known as NK cells, K cells, and killer cells) are a type of lymphocyte (a white blood cell) and a component of innate immune system. NK cells play a major role in the host-rejection of both tumors and viral infected cells. Unlike hypoxia, mild temperature elevation enhances tumor cell recognition as it increases the cancer killing potential of NK cells. Hyperthermia allows for greater T cell activation and increased anti-tumor T cell response. Thus, these researchers suggest that thermal therapy could be used to help reverse at least some of the negative effects of hypoxia on the anti-tumor immune response. 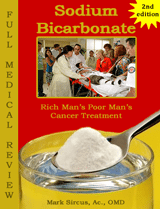 Hypoxia and Hypocapnia (lowered CO2) are both drivers of cancer. There are two different ways in which hyperthermia can be used to treat cancer. The first is called local hyperthermia or thermal ablation, and it is used to treat a small area of cells, such as a tumor. This treatment is more successful when used to treat tumors that are located on or near the skin’s surface. In these treatments, the area is generally heated to temperatures between 40 and 45°C (104 to 113°F). The second type is called regional hyperthermia, and it uses low heat to elevate the temperature of a region of the body, such as a limb or organ. Generally, the temperature isn’t hot enough to destroy tissues, but can be combined with chemotherapy or radiation to make these treatments more effective. One of the easiest, safest and most effective way of treating disease, including cancer, is to increase body temperature with infrared therapy. 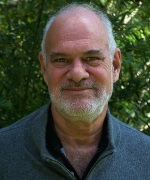 It is a foundational treatment, which has profound ramifications for thyroid sufferers, patients with adrenal issues and even for people with restless leg syndrome. 98,6° F (37C) is the ideal body temperature for optimal health. That temperature is the guarantor for good blood circulation and is the mainstay for vitality and strong immune system strength. Low temperatures between 95°- 97° F is common with patients with chronic illnesses. 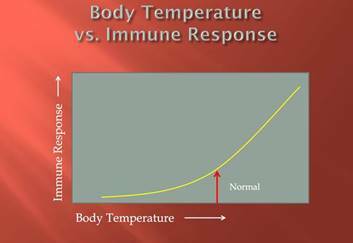 Increased body temperature is correlated mathematically with increased immune system strength. Normal core temperatures are at the exact temperature at which all the functions of the human body can operate with optimal efficiency. The same can be said about pH because all physiological processes are pH sensitive. Thus, body temperature is crucial to address when treating cancer or any other disease. Thermal therapy is ideal when used in combination with other therapies. Scientists have reported that increased tumor oxygenation occurred after heating at mild temperature in rodent tumors. Several studies support that local heating (40-43°C) results in an overall improvement of tumor oxygenation. The changes in tumor oxygenation after heating correlated with changes of tumor blood flow. The increase of oxygen delivery into the tumor through increased blood flow after heating could reduce hypoxic regions within the tumor micro-environment. However, a higher thermal dose (>43°C) leads to decrease of tumor oxygenation possibly because of blood vessel damage. Thermal therapy can be used to relieve, at least temporarily, the grip of hypoxia in the tumor micro-environment through its effects on vascular function. Heat-induced changes in blood flow (from exercise, fever, or changes in ambient temperature) is due to controlled amounts of both vasoconstriction and vasodilation of blood vessels. Hyperthermia results in an obvious expansion in the diameters of many tumor blood vessels and an increase in the percentage of perfused blood vessels with discernible erythrocytes. 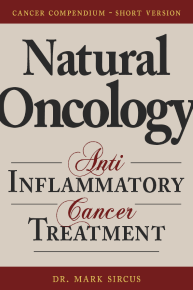 “Mild thermal therapy may have a dual benefit: direct enhancement of immune cell activity through thermally sensitive molecular pathways associated with immune cell function/activation, and, indirect enhancement of immunosurveillance through a reduction in hypoxia-induced immune suppression via improved tumor vascular perfusion. Hypoxia not only helps tumor cells to escape recognition of cytolytic cells (e.g., by inducing shedding of targets for NK cells) but also prevents the proper maturation and function of dendritic cells and T lymphocytes and increases the potential for recruitment of immunosuppressive T lymphocytes and tumor associated macrophages. Mild, fever-range systemic hyperthermia can significantly increase the percentage of perfused blood vessels within tumors and that this effect can last for hours. Moreover, systemic heating is associated with a significant depression in interstitial fluid pressure. Other recent research has also revealed that exposure of immune cells and tumor cells to mild hyperthermia have positive effects on the same immune mechanisms that are negatively impacted by hypoxia. Scientists in Finland have shown that sauna bathing is associated with a variety of health benefits. The latest study with 100 test subjects shows that taking a sauna bath of 30 minutes reduces blood pressure and increases vascular compliance, while also increasing heart rate similarly to medium-intensity exercise. Researchers have also published findings indicating that regular sauna bathing is associated with a reduced risk of coronary diseases and sudden cardiac death, hypertension and Alzheimer’s disease and dementia. Frequent sauna bathing has also been associated with a reduced risk of respiratory diseases and lower CRP levels. During sauna bathing, test subjects’ heart rate increased similarly to medium-intensity exercise, and their body temperature rose by approximately 2°C giving a considerable boost to immune system strength. Murray Pearson flew 25 hours and spent $25,000 to pay for three weeks of hyperthermia treatments. Hyperthermia is a life-saving cancer treatment used in many European countries, but one does not have to fly anywhere to do this treatment. 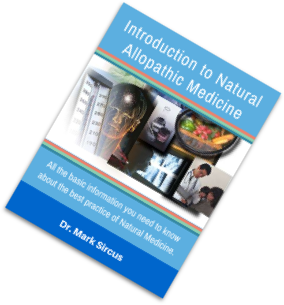 This treatment can be implemented safely and effectively at home. 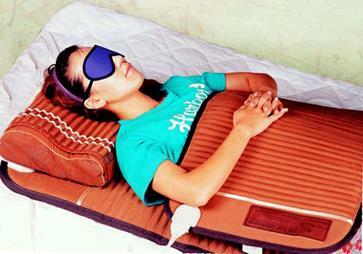 One can make a sandwich out of oneself by using a big infrared mat and a smaller one. Together they concentrate the heat and because the rays penetrate deeply, all the tissues sandwiched in between are affected. This technique raises temperatures to levels that cancer cells do not survive well in. Home treatments are inexpensive and can continue for years helping patients to pull out of deep holes of pathology and then infrared treatments can help keep us healthy for many number of reasons.